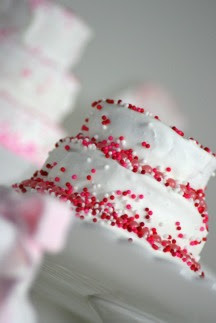 amorology: first comes love: Have Your Cake & Eat It Too! One of my favorite parts of any wedding is getting to taste the delicious cake! I'm always sad when my piece is gone. :) Of course we got excited when we came across these edible favors from The Crumb Runner Cookie Co. 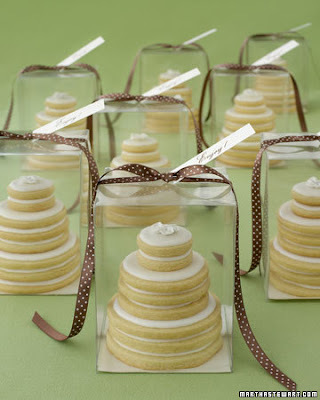 Edible Favors are always our favorite! If you can believe it, these are actual stacks of cookies, iced and decorated to look just as elegant and fun as the wedding cake! There are so many different flavors and styles to choose from, which makes it fun! They look gorgeous, perfect for a wedding favor or shower gift. Almost too good to eat!! Beautiful. 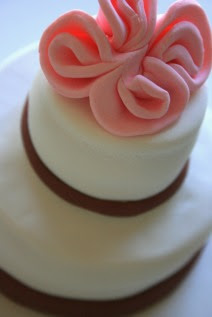 Too good to eat, what a great wedding favor idea. I just love the stacked cookies! so easy to do at home too!